F: His last day in Paris. 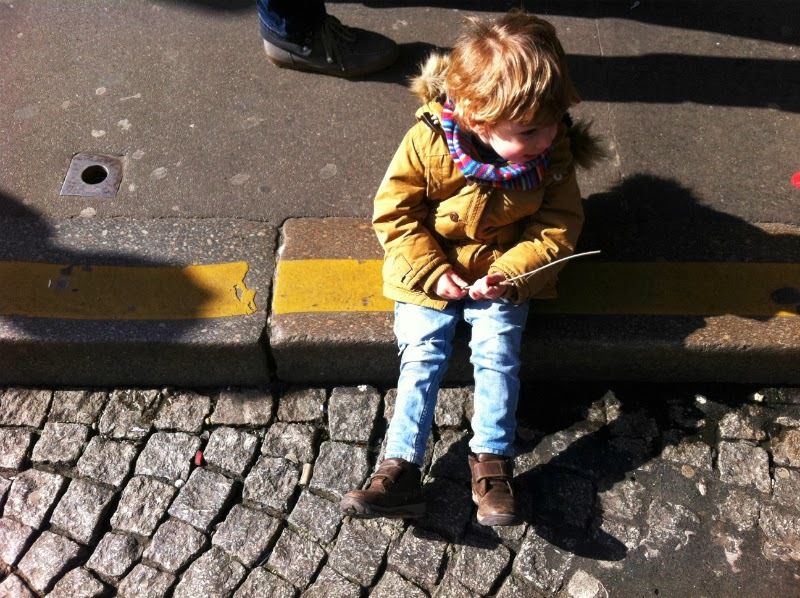 After spending a week refusing to be anywhere other than his daddy's shoulders, he takes a moment to sit on the kerb while we check our map. Happily watching people passing by; awkward legs and favourite stick in hand. This weekend I was kept busy with work, meaning time away from this guy. Something I will be making up for this week. My aim is to try and get a picture of him out of this coat! He loves it way too much. Some indoor shots are most certainly due. Another fellow stick-lover here! He looks very content, and I do love his wonderful coat! aw, he looks so content! Beautiful photo.... mine love sticks too! !